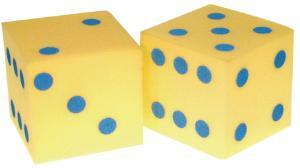 Soft foam dice are available in giant 5" size. Quiet, soft, and easy to handle. Each pair comes in a clear plastic zippered carrying case.